Severe Drought in California: What Better Time Make a Pond? 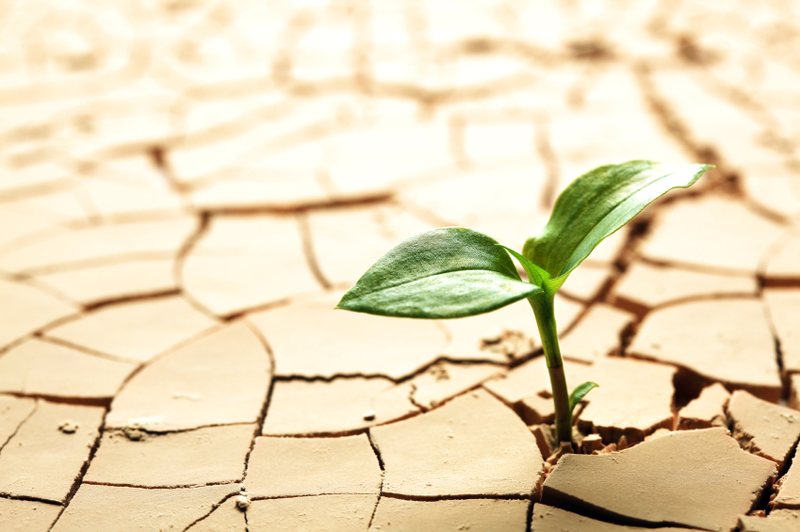 California is in a severe drought. Signs, commercials and news reports constantly remind all of us water and sun loving Californians to conserve this precious resource. Some counties are even fining their residents for having green lawns! Despite not having been to church in years, my Catholic guilt kicked in high gear, weighing heavily on my global, ecology conscious mind. Some people might even go as far as to call me a “survivalist”. You should have seen my secret stash of survival gear and food I had when I thought Y2K was going to end in an apocalyptic-like event. Anyway, I was heart broken and further motivated after hearing biologists discuss large bird die offs and watching videos of salmon struggling to swim up stream, in mere inches of water, only to die at the beginning of their long journey, not having had the chance to further propagate the species. In an effort to be part of the solution, I had already made efforts to cut my daily shower time and to turn off the faucet while brushing my teeth. I had even gone as far as turning off the automatic sprinkler, instead choosing to selectively hand water. But, I decided to go one step further. 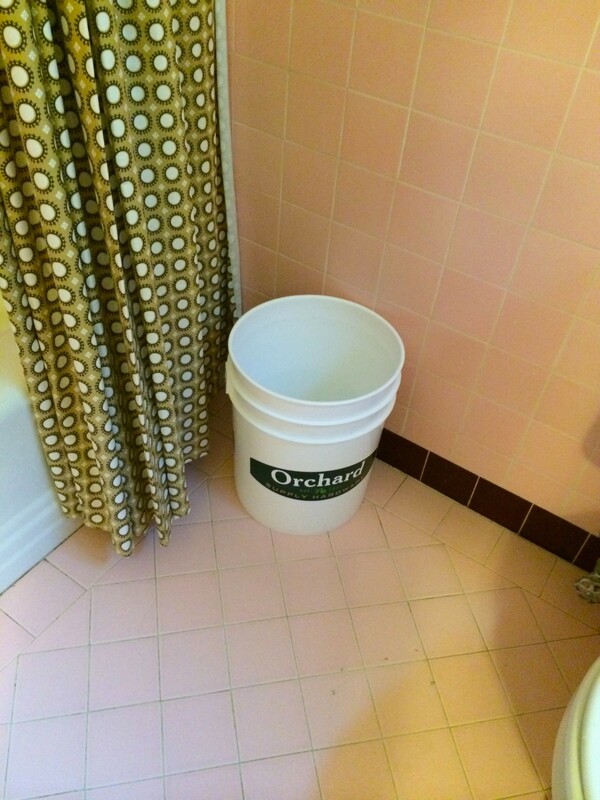 I was reminded of a discussion I had had a few weeks ago with a co-worker who had heard that we should collect the water wasted while waiting for the water to get hot before a shower using a 5-gallon bucket. The source she had heard, suggested using the water collected for other purposes, like watering the garden. 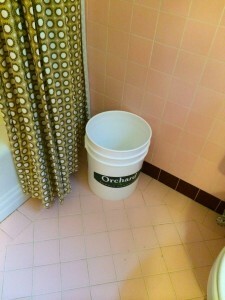 So, I went to Orchard supply after work and bought a 5 gallon bucket. The next day I placed it under the faucet in the morning to collect the cold and warming shower water. I was surprised and saddened to see I waste about 3 gallons of water every day just waiting to get hot water. 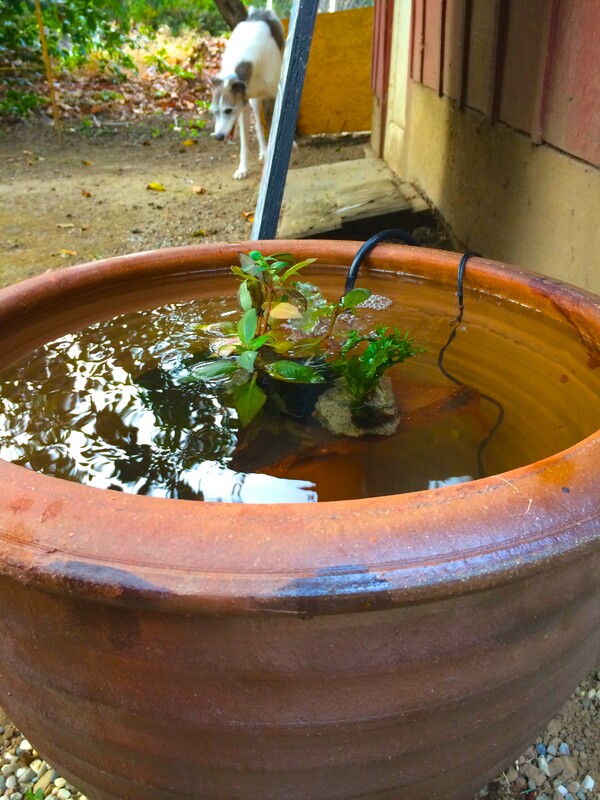 The first few days I watered plants and filled my dog’s water bowls. While contemplating other uses for the water I saved, I was reminded of the bird die off story I had heard. I then was aware of the dried up creeks and streams that are around me, along with the quickly diminished holding pond near my house. 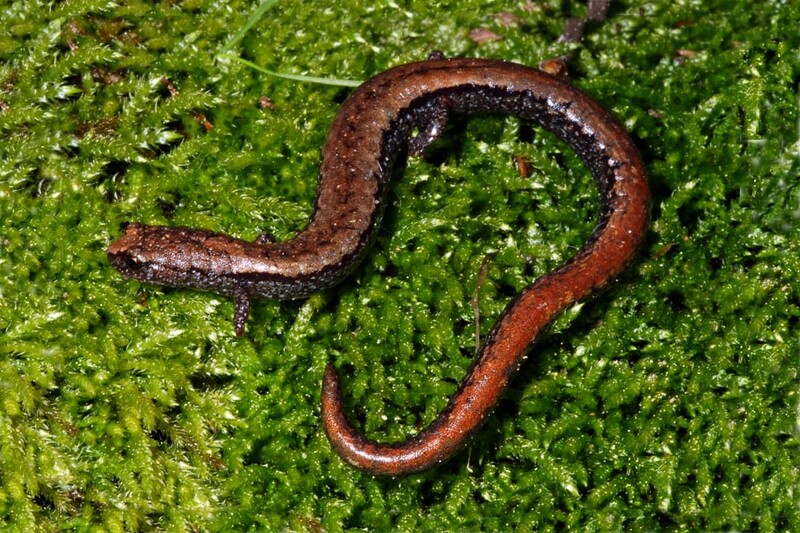 I thought about all the wildlife I see in my backyard; deer, skunk, raccoon, varieties of birds and the slender salamander and how they must be struggling with this dry weather. The salamander especially pulled on my heart since that species was the very first scientific discovery I made, all the way back in 1995. The county I live in, had been thought void of the little guys. By sending specimens in to the UC Davis Vertebrate Museum, I felt a part of their awareness and rediscovery. With all this contemplation, I created a fountain-aerated, above ground pond/eco-system out of a big pot. This would provide a fun bath in which the birds could hydrate and cool down and a watering hole of all sorts of other creatures. Of course, the cool and moist pot would offer imperative refuge for my precious salamanders. To keep mosquitoes away, I bought some guppies and two gold fish. I purchased live plants to oxygenate the water and as an additional food source for the fish. I might add, it just looks nice in the yard and the gentle sound of the mini fountain is very relaxing. It was been several weeks now and I top off the pond with collected water about two times per week. I have noticed scores of birds enjoying it. My dogs even drink from it. I assume other creatures are also taking advantage of it. I just don’t see them because of their late night and early morning arrivals and departures. For those of you living in drought affected areas, I encourage you to get creative with recycling otherwise wasted water. For those of you lucky enough to have enough water treasure it! Keep it clean and don’t waste it!